HBO’s Game of Thrones led all programs in Emmy nominations for the third straight year while FX’s The Americans is among the Best Drama Series contenders for the first time. The 68th annual Emmy nods, announced Thursday by the Television Academy, put Game of Thrones on top with 23 nominations, one fewer than last year and one more this time around than FX’s The People v. O. J. Simpson: American Crime Story. FX, which upped its yearly Emmy nominations total to 56 from 38, also scored big with Season 2 of Fargo, which ran third among all programming with 18 nominations. The network’s American Horror Story: Hotel likewise placed among the top 10 finishers with eight nominations. But FX’s The Americans, a critical darling whose first three seasons had been snubbed in major Emmy categories, may be the most gratifying contender. It received six nominations, including first-time recognition for its two leads, Keri Russell and Matthew Rhys, as well as the breakthrough Best Drama Series nod. In the Best Limited Series or Movie category, FX has a total of six acting nominations for People v. O. J. Simpson. HBO’s Veep had the most comedy series nominations with 17, and the network’s Silicon Valley also made an impressive showing with 11. HBO again will be formidable in the Best Television Movie category with All the Way, which has eight nominations. 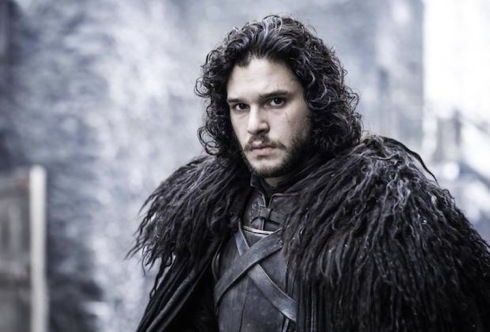 Game of Thrones’ Kit Harrington, whose risen-from-the-dead character, Jon Snow, clogged “social media” arteries this year, received first-time Emmy recognition as a supporting actor nominee. Still, HBO’s total of Emmy nods plunged from 126 last year to 94, which is still more than good enough to easily lead all networks. Netflix also flexed, upping its nomination total to 54 from 34 last year to rank a close third behind FX. Its biggest showing came with House of Cards, which has 13 nominations. Netflix’s first-year Master of None is among the Best Comedy Series contenders, along with the streaming network’s Unbreakable Kimmy Schmidt. The year’s most-talked about true crime documentary series, Netflix’s Making a Murderer, had six nominations. Among the longstanding Big Four broadcast networks, NBC’s Saturday Night Live had the most nominations with 16. But for the most part it was another poor showing overall for NBC, ABC, CBS and Fox. Only ABC has contenders in the four major scripted categories, with black-ish making a big breakthrough as a Best Comedy Series nominee to join that network’s perennial Modern Family. ABC’s American Crime also deservedly made the cut in the Best Limited Series category. PBS ranked behind all four commercial broadcast networks in total nominations. But its 26 nods included the last season of Downton Abbey for Best Drama Series and Sherlock: The Abominable Bride in the Best Television Movie field. ***USA network’s freshman Mr. Robot weighed in with six nominations, including for Best Drama Series and Lead Actor in a Drama Series (Rami Malek). ***Half of AMC’s 24 nominations went to its limited series The Night Manager while the second season of Better Call Saul chipped in with seven nods. ***For unfathomable reasons, Emmy voters gave Fox’s Grease: Live! 10 nominations compared to six for NBC’s superior The Wiz Live!. ***Game of Thrones and Veep, respectively the defending champs in the Best Drama and Comedy Series categories, will return to defend their titles. But the surest winners appear to be People v. O. J. Simpson in the Best Limited Series category and All the Way as Best Movie. ***Among this year’s nominees, Kevin Spacey of House of Cards has the longest drought. He’s been to the plate eight previous times without a win. In contrast, Julia Louis-Dreyfus of Veep now has a total of 21 nominations and has won on seven previous occasions, including last year. ***Overall, Emmy voters were bracingly savvy this year. It helped to expand the Best Drama and Comedy Series categories to seven entrants apiece. But with so many quality television and streaming candidates in the mix, it’s impossible to please everyone. I would have liked to have seen young Connor Jessup receive a nomination for his exemplary work in American Crime. FX’s Baskets would have been a daring choice in the Best Comedy Series slot, but at least Louie Anderson got a best supporting actor nomination for playing Zach Galifianakis’ overbearing mom. And as mentioned earlier, The Wiz Live! deserved better. But really, that’s about it. And that’s saying something when it comes to the oft-maligned Emmy choices from seasons past. The prime-time Emmy ceremony is on ABC this year -- on Sunday, Sept. 18th. Jimmy Kimmel hosts.